JMT performed a survey of the westbound span of the Chesapeake Bay Bridge to determine the coordinates of the main suspension cables. 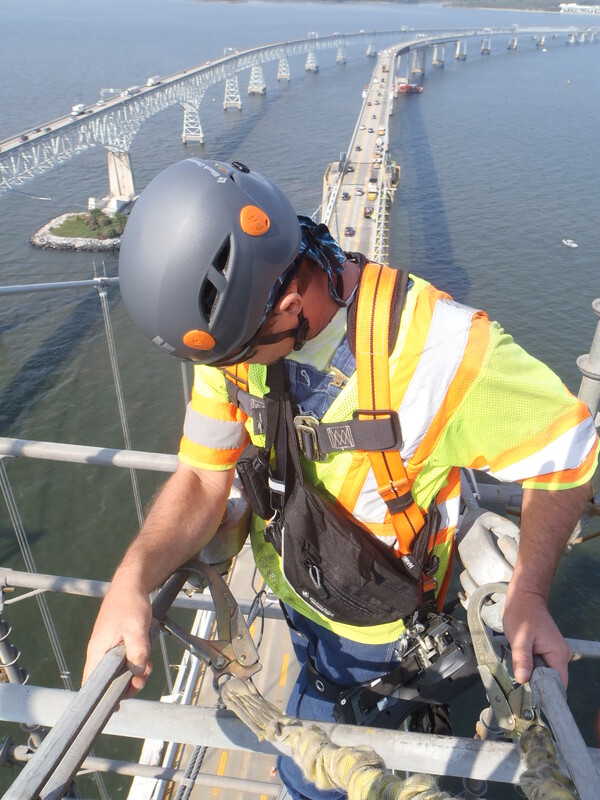 JMT surveyors climbed the main suspension cables of the westbound span of the Chesapeake Bay Bridge (formally known as the William Preston Lane, Jr. Memorial Bridge) to obtain X, Y & Z locations. 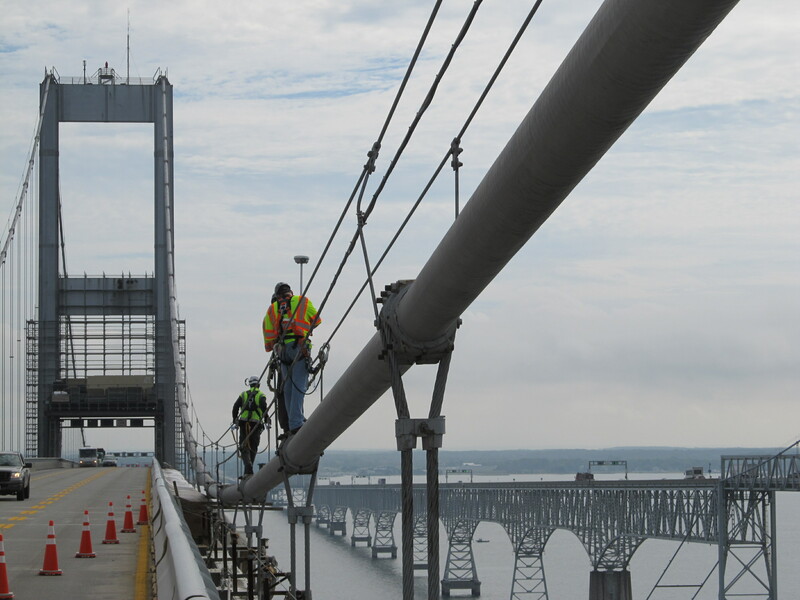 Each suspension cable needed to be physically located and inspected at its intersection with the main cable, requiring our surveyors to scale the towers. The roadway deck sits at approximately 200 feet above the Chesapeake Bay, and the suspension span towers each reach a height of 375 feet above the water’s surface. 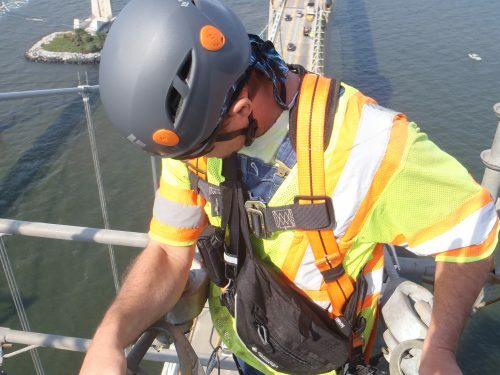 Our surveyors wore harnesses with a double lanyard, a hardhat, gloves, safety glasses, and a safety vest while also having all of their equipment attached to their person at all times. 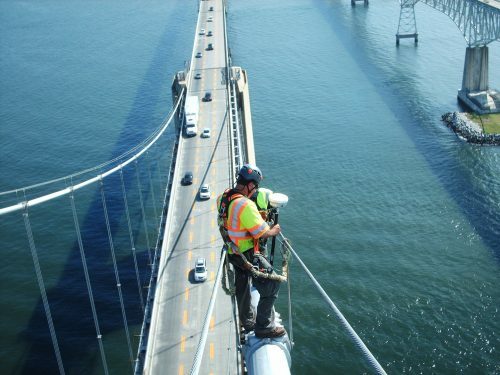 These items included a data collector, GPS receiver, 2-meter GPS pole, camera, radio, and any personal gear such as a water bottle or phone. 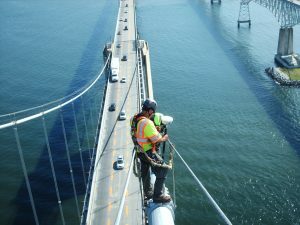 Each cable took approximately 3.5 hours to survey and had to be performed over two days due to the client’s maintenance of traffic restrictions. 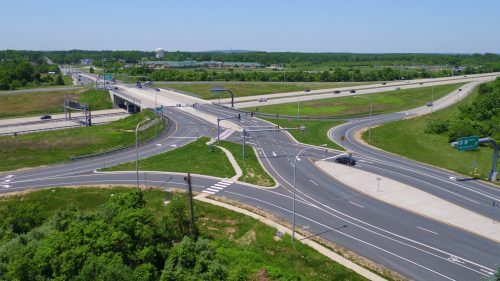 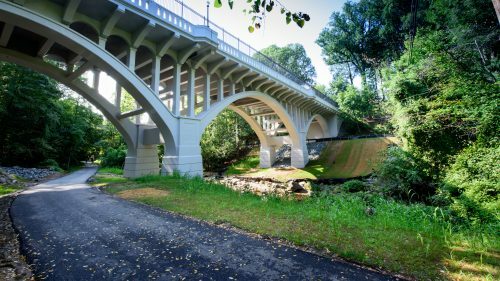 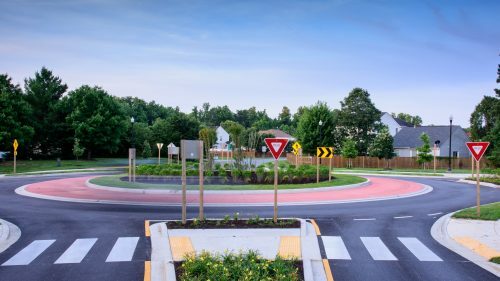 Coordinates for approximately 75 intersections were successfully located and captured on both the north and south sides of the bridge using RTKN GPS.